Hello everyone! Happy New Year!!!! Hope you guys had an amazing holiday.. 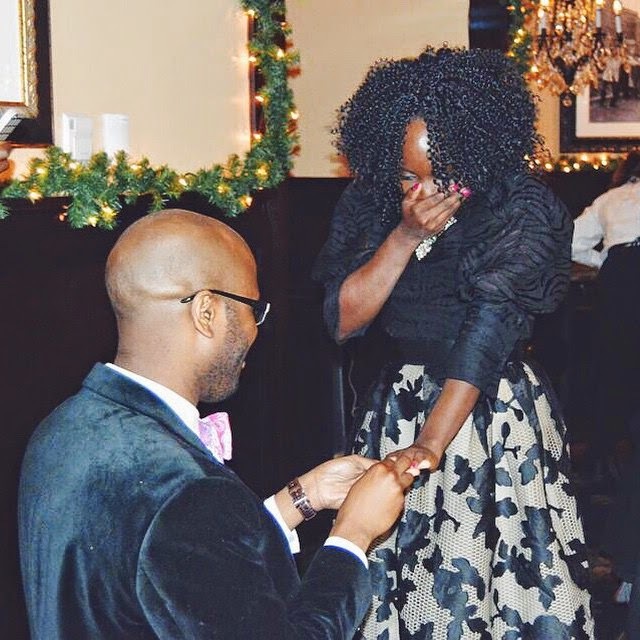 I know it's been a while since I blogged, but in my defense, a lot has happened in the past month... my birthday, my grandma's home-going celebration, Christmas, New year, and guess what I GOT ENGAGED on 12.13.14 to the most amazing, selfless, God fearing man I know, "The Bae"!!!! Woot!! Some pics from some of these events are posted on my Instagram page, @SewUrbane, but below is a pic of the proposal. Okay, now back to the little cute pillowcase dresses. As some of you may know, I'm one of the founders of Pretty Girls Sew, LLC and each month we choose a sew-along project for our lovely followers to create. For the December sew-along and since it was my birthday month, I chose to do something filled with love and everything amazing the season is about! And what better way to show love, give, and show your talent by making little cute dresses for little girls around the world. Amazing right? I contacted the organization called, "Dress A Girl Around the World" and they were ecstatic to hear that Pretty Girls Sew has chosen to support their organization by doing a sew-along. And by the way, we were so excited about the cause that we've dedicated every December to it. If you have any questions, feel free to let me know or just reach out to "Dress A Girl" directly. I made this dress with the remnant from a dress I made last week, HERE. The link to the DAG sewing handbook is no longer any good. I've been looking for it myself which is how I found this blogpost.